Cooking with dried legumes seems difficult, but is actually very easy. It is mainly a matter of plans. Boil some extra and freeze. Handy, because you always have a supply. Dried legumes are natural products. Dried legumes can best be stored cool, dry, dark and well packaged. They should be cool, not moldy and not stale. Pauls can germinate or mold under the influence of light, moisture and heat. 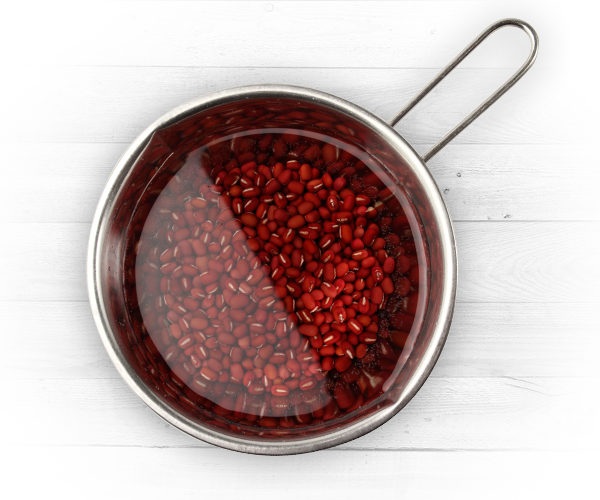 Always ensure that pulses are rinsed once before soaking. Want to quickly soak or do you have the time; choose hot or cold water. Depending on the season you sometimes have to soak longer. Lentils do not need to be soaked. After more than a year, the skin becomes a bit harder and dried legumes should be soaked and cooked for longer. Also split peas do not have to be soaked. Check the doneness regularly during cooking. With some legumes, protein foam is formed, just as with pea soup. Scoop with a skimmer. If you have cooked extra, you can freeze it with a portion of the cooking liquid.